Tobacco 30ml Nic Salt Juice by Dream is light tobacco with just a touch of sweetness that's perfect for vaping all day. Use Dream Salt Series Tobacco Nic Salt Juice with your favorite pod mod or similar low-wattage device for the best results. 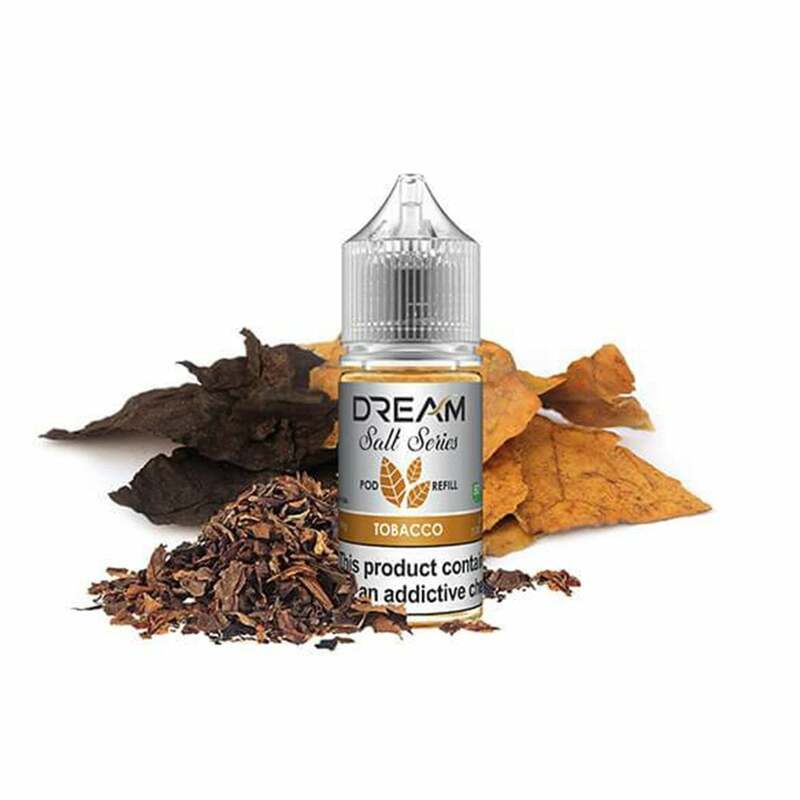 Dream Tobacco Nic Salt Juice is 18mg (1.8% nicotine) and has a 50VG/50PG ratio.